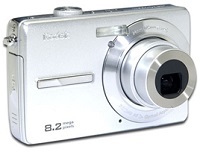 Kodak EasyShare M863 Zoom Digital Camera Software and Share Button App for Operating Systems. KODAK EasyShare M863 Mac Share Button App – Download (19.4MB). , and filed under Digital Camera and tagged easyshare m863 software, kodak m863 software, m863 download, m863 share button.